A preview of next seasons offerings from the finest of tailoring houses in London. 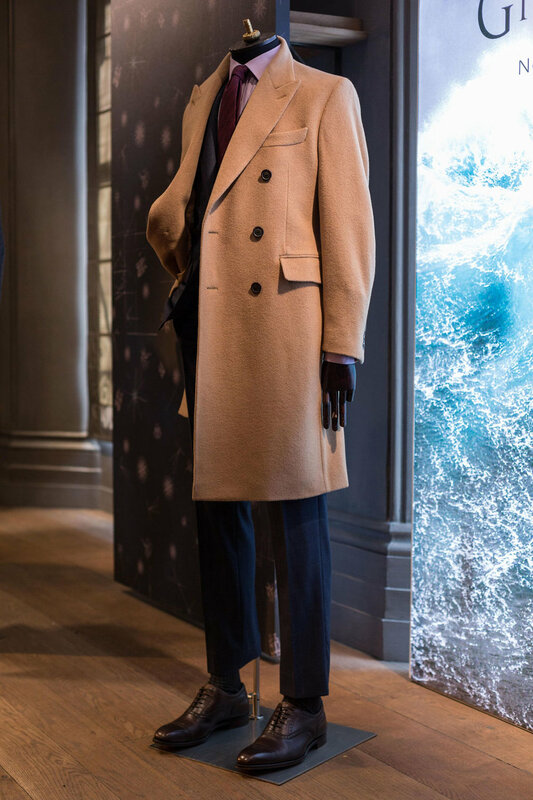 Outerwear was out in force with special mention deserving for the superb camel knee-length design and a more casual than we are used to, fisherman style peacoat with collars that are on the right side of exaggerated. Tailoring was more statement than in previous seasons. Business wear saw relatively bold grey windowpane checks and evening wear options included a stunning navy jacquard tuxedo with black satin lapels. The erring message was one that announced Gieves & Hawkes as a brand that caters for the weekend as well as it does for Monday - Friday. With the arrival of a light chocolate brown bomber jacket and cashmere crew neck knitwear, it is a move that we are 100% behind. Explore further at Gieves & Hawkes.